With your generous support we are able to reach out to children around the world. 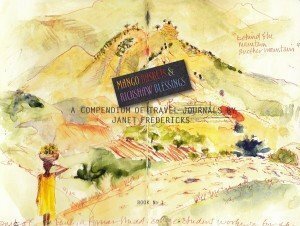 As a special offer to our donors of $100 or more we will send you a copy of Janet’s book, Mango Basket and Rickshaw Blessings, full of colorful paintings from her many travels with Magicians Without Borders. Janet, also known as LaFleur, and wife of Tom Verner, volunteers as a mime/clown. Janet is also a well known artist. such good work close to home and far away.